For everyone who look at my ratings on Goodreads, please learn about my rating system first before looking at them so there won't be any miscommunication or misconseption about the books. The book, The Many Adventures of Peter and Fi Volume I: Homecoming by Kelvyn Fernandes, is about a mage named Peter and a chimera named Fi who banned together to work towards their individual goals to search for something. While they are searching, they encounter wild and dangerous creatures while also landing themselves in situations that have them making close calls. Whispers in the Dark by Jordan Frost is a world where people contradicts the stereotypical labels for everyone. Those who are supposed to be good are actually bad and those who are supposed to be bad are good. Jensen Grooms is a soldier known as a Harvester and when he is forced to kill his commanding officer, it left him on the run with the sacrifice, Solana, who the group was transporting to Lord Kane who holds the reign for the empire. This might be my first TBR list on this blog ever since I had started this blog. Even though I have a Want-to-Read list on Goodreads, these will be the books I am aiming to read in the next two months. Ever since Christian's transformation, the ones that get close to him are dying one after another. His girlfriend Cara was dead and Rachel was grievously wounded. Now it is his task to learn how to defend himself and figure himself out since he is now a vampire. With the help of his sword-wielding mentor Amym and a beautiful dancer named Joyce, it might be easier for him as they help guide him with his new life. Hi, I’m Toni Cox, author of the Elemental Trilogy and, after recently successfully re-releasing my trilogy with new covers, I have now done the same with my short stories and you are some of the first people to lay your eyes on them. Phoenix: Field of Mars by Jackie Anders is a book about a twenty-eight-year-old, Kyla Marshall, who is in the field of public relations. That was until she ends up dropping in on a special ops’ mission. Literally. She finds herself transported from 2017 to 8 A.D and have no choice but to follow the team with their mission to stop a scientist from unleashing a deadly virus that would kill many in an era where people were still using natural herbs as remedies. At first, she was wary about the men, but as she got to know them, she slowly warmed up to them. Throughout her journey there, the question of whether she will get back home lingers on her mind. 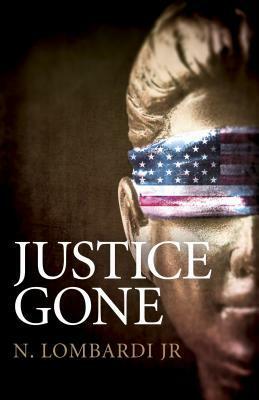 Justice Gone, a mystery and legal thriller, by N. Lombardi Jr touches upon many social issues. When a homeless war veteran is beaten to death by the police, soon after, three cops are shot dead. Donald Darfield, an African-American Iraqi war veteran and a war-time buddy of the beaten vet was accused as the prime suspect to the killing of the cops due to obvious reasons as his motives. Justice Gone is the first in a series of psychological thrillers involving Dr. Tessa Thorpe. Legal Reserves by James Rosenberg is a book that revolves around an allegedly accused woman with thievery. The lawyers hired for both parties are best friends who went to post-secondary together along with the judge who was recently assigned to the trial. After many research and finding witnesses to testify, the day of the trial approaches and it creates tension with the friendship between the two lawyers. With the judge not being happy with how the case is affecting their friendship, this case tests their supposedly strong bond. It's a new year and a very cliche saying, it's also a new me (not really). Even though I know I will not honour the resolutions I've created, it's a good goal to have presented. Hannibal's Foe by Edward Green is self-explanatory. Hannibal is an enemy that terrifies most. The story follows Decurion Scipio as he has to lead the legion to defeat their enemy. When the General, the father of Decurion Scipio, gets injured during a battle, he had to face those that question his orders while trying to win a victory against their enemy. Hamartia by Raquel Rich is a light science-fiction adventure. In the world Grace and her family lives in, there exists a disease called Metagenesis which causes the soul to separate from the body of the host. It is every mother's nightmare for their child to face danger but it is Grace's reality when her son, Jordan, is dying from the very disease. Desperate to save her child, she participates in an experiment that involves cloning souls which have yet been approved by the government. She journeys to the past with her best friend, Kay, to find the past life of her soon-to-be ex-husband to save her child. It is not only a risk to travel back but it also turns into the ultimate test for Grace's relationship with her soon-to-be ex-husband who may turn out not to be her soulmate.